"These are people not like the rest," who have qualities, convictions and character out of the ordinary, Putin added on the Russia-1 channel. Moscow: President Vladimir Putin on Saturday praised Russia's network of intelligence officers as "unique people" who are devoted to the country. "To give up their life, their nearest and dearest and leave the country for many years, and to dedicate one's life to the Fatherland, not everyone is capable of doing that," the former KGB officer said on state television. "These are unique people. I wish them happiness and prosperity," he added. The Russian strongman said that his own service in the country's main security agency during the Soviet era had involved "especially, undercover intelligence". Putin was stationed in Dresden, in what was then East Germany, for the Soviet espionage service from 1985-1990, according to his official biography. 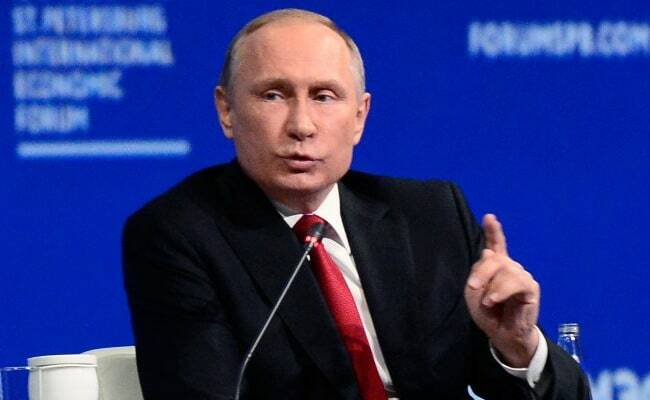 "Even before I'd finished my school studies, I already wanted to be an intelligence officer," Putin said in the biography, adding that he had been attracted to the service by spy novels.